The Western world's classification of tofu tends toward one of two extremes: it's either a vegetarian superfood, or a toxin-packed poison. This week, we marinate in what happens when different groups project their hopes and fears on to those soft cubes of curdled soybean milk. "We are a little bit antiquated and we make the tofu one batch at a time." Eileen Ota shows us around the century-old Ota Tofu factory in Portland, Oregon. "It will kind of absorb anything." Christine M Dubois, author of The Story of Soy, discusses the surprisingly long history of the soy bean in North America. "It definitely did reflect values. The people who ate tofu...did so because they had strong feelings." 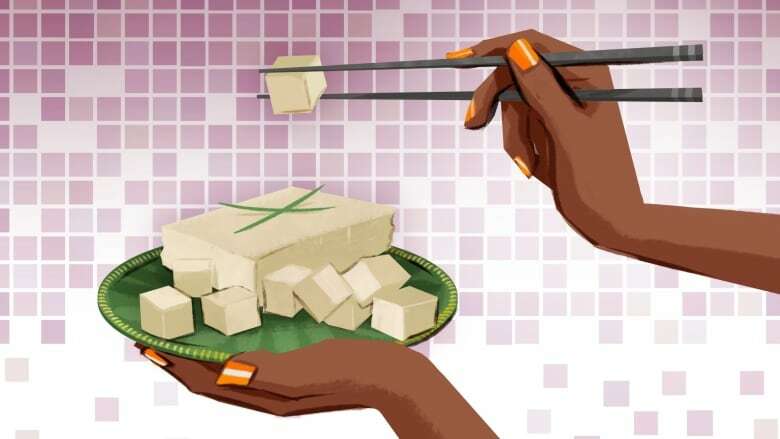 Tofu historian Bill Shurtleff on how soy became synonymous with social activism. "I just remembered being taken by my grandfather to the neighborhood tofu shack." Minh Tsai on how his childhood memories inform his passion for homemade tofu. "I grew up eating a lot of tofu." Chef Missy Hui cooks up some of the best tofu Chris has ever tasted.